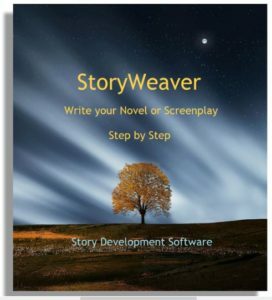 Be a StoryWeaver – NOT a Story Mechanic! Too many writers fall into the trap of making Structure their Story God. There’s no denying that structure is important, but paying too much attention to structure can destroy your story. We have all seen movies and read novels that feel like “paint by numbers” creations. Sure, they hit all the marks and cover all the expected relationships, but they seem stilted, uninspired, contrived, and lifeless. First, clear your mind of any thoughts about characters, plot, theme, and genre. Avoid any consideration of character arc, hero’s journey, acts, scenes, sequences, beats, messages, premises, settings, atmosphere, and formulas. In short – don’t give structure a second thought. Now work to create a world in which people live and interact, things happen, meaning can be found and the environment is intriguing. To do this, we’ll progress through four different stages of story creation: Inspiration, Development, Exposition, and Storytelling. If you can’t think of a story idea to save your life, there are a few things you can do to goose the Muse. First of all, consider your creative time. Some people consistently find inspiration in the morning, others in the afternoon, evening or even in the dead of night. Some people are more creative in the summer and can’t write worth a darn in the other three seasons. There are authors who work in cycles and those who come up with ideas in spurts. The key to using your creative time is to keep a log of your most fertile moments and then plan ahead to keep that kind of time open for further inspirations. And don’t neglect your creative space either. There are authors who go off to a mountain cabin to write. Some like lots of noise or babble, like a city street below their open window or an all-news station on the radio as background. There are writers who prefer a cluttered room because it engenders chaos, which leads to serendipity. Others can’t think a lick unless everything is orderly, neat and in its place. Creative space includes the clothes you wear while writing. There are those who wear hats when developing characters and others who pantomime action sequences to get in the feel of it. Open yourself to different writing media. If you only use a desktop computer, try a laptop, a palm organizer with a folding keyboard, long hand on a pad, or a digital voice recorder. And don’t be afraid to switch around any of these from time to time and mood to mood. If you still can’t come up with an idea, try the Synthesis Technique. In brief, you want to subject yourself to two disparate sources of information. For example, put a talk radio program on while reading a magazine or watching television and let the odd juxtaposition spur your notions. 2. The Martian Rover space vehicle on the red planet’s surface. Your list might go on and on. Now most of these potential meanings might be pure rubbish, but occasionally a good idea can surface. If the first three words don’t work, try three different ones. And, in the end, even if you don’t find an idea directly from your explanations of each phrase, you’ll have so stocked the creative spirit that you will find yourself far more prone to inspiration than before you started the exercise. 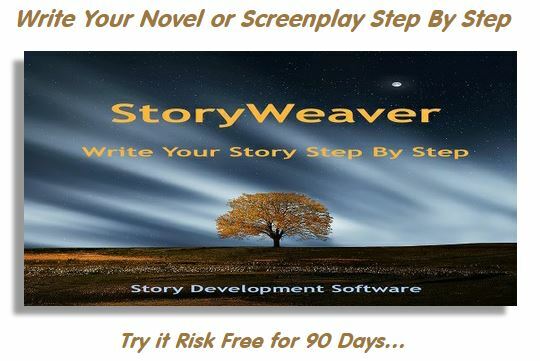 Once you’ve been inspired enough to create a log line, you can move into the second stage of Story Weaving: Development. Here is where you take your basic concept and flesh it out with lots more detail. In Development you’ll begin to populate your story with people you might like to write about, work out some of the things that will happen in your story, and establish the world or environment in which it takes place. These efforts will ultimately result in your characters, plot, theme, and genre. As an example, let’s use the log line from above: “The marshal in an old western town struggles to stop a gang that is bleeding the town dry.” Now let’s see how we can expand that world to create a whole group of people who grow out of the story, some of whom will ultimately become our characters. The only specifically called-for characters are the marshal and the gang. But, you’d expect the gang to have a leader and the town to have a mayor. The marshal might have a deputy. And, if the town is being bled dry, then some businessmen and shopkeepers would be in order as well. Range a little wider now and list some characters that aren’t necessarily expected, but wouldn’t seem particularly out of place in such a story. Although you’ll likely discard these characters, just the process of coming up with them can lead to new ideas and directions for your story. This same kind of approach can be applied to your log line to generate the events that will happen in your story, the values you will explore, and the nature of your story’s world (which will become your genre). The third stage of Story Weaving is to lay out an Exposition Plan for your story. By the time you complete the Development Stage, you will probably have a pretty good idea what your story is about. But your audience knows nothing of it – not yet – not until you write down what you know. Sure, it’s a story, but not a very interesting one. If you were to unfold your story in this perfunctory style, you’d have a complete story that felt just like that “paint by numbers” picture we encountered earlier. As an example, let’s create an Exposition Plan to reveal a story’s goal. Sometimes a goal is spelled out right at the beginning, such as a meeting in which a general tells a special strike unit that terrorists have kidnapped a senator’s daughter and they must rescue her. Other times, the goal is hidden behind an apparent goal. So, if your story had used the scene described above, it might turn out that it was really just a cover story and, in fact, the supposed “daughter” was actually an agent who was assigned to identify and kill a double agent working on the strike team. Further, in The Godfather, as in many Alfred Hitchcock films, the goal is not nearly as important as the chase or the inside information or the thematic atmosphere. So don’t feel obligated to elevate every story point to the same level. An example of this is in the John Wayne classic movie, The Searchers. John Wayne’s character asks an old, mentally slow friend to help search for the missing girl. Finding the girl is the overall goal. The friend has a personal goal: he tells Wayne that he just wants a roof over his head and a rocking chair by the fire. This character sees his participation in the effort to achieve the goal as the means of obtaining something for which he has personally longed. By the time you’ve created an Exposition Plan for each story point you worked on in the Development phase, you’ll have assembled a huge number of events, moments, and scenarios. There’s only one thing left to do: tell your story! Story Mechanics often get stuck at this point in story development. They are so taken with the “perfect” structure they have created, they tend to anguish over the opening sentence when finally sitting down to write the story. Eventually, after writing with the problem for far too long, they write one great line and then become so intimidated by its grandeur they are afraid to write anything else lest it not measure up to that initial quality! Fact is, you’re only as good as your own talent – GET OVER IT! Don’t grieve over every phrase to try and make yourself look better than you are. Just spew out the words and get the story told. Something not up to snuff? That’s what re-writes are for! Another common problem is the inability to let loose, emotionally. Each of us is born a passionate human being. But we quickly learn that the world does not appreciate all our emotional expressions. In no time, we develop a whole bag of behaviors that don’t truly reflect who we really are. But, they do help us get by. Problem is, these false presentations of our selves appear to be our real selves to everyone else. They cause others to give us presents we don’t really want, drive us to make friendships with people we don’t really like, and even marry people we don’t really love! This false life we develop is a mask, but by no means is it always a well-fitting one. In fact, it chafes against the real “us.” The emotional irritation could be eliminated if we removed the mask, but then we might lose our jobs, friends, and lovers because they might find the actual people we are to be total strangers and not someone they like. So instead, we just tighten the mask down so hard it becomes an exoskeleton, part of what we call “ourselves.” In fact, after a time, we forget we are even wearing a mask. We come to believe that this is who we really are. Once you know where to find the oil field of your soul, you can drill down into it any time you like. Of course, every time you draw from that well you put more cracks in the mask. Eventually, the darn thing might shatter altogether, leaving you unable to be anyone but yourself with your boss, your friends, and your lover. Downside risk: you might lose them all. But, you’ll be a far better writer! This entry was posted in Story Development, Storytelling, StoryWeaver Software. Bookmark the permalink.